Welcome, Dum Dums. Photo from The Dum Dum Girls facebook page. Slumgullion got sucked into a black hole this week due to my non-stop schedule on Friday and Saturday. So here are a few items from the cosmos of entertainment. 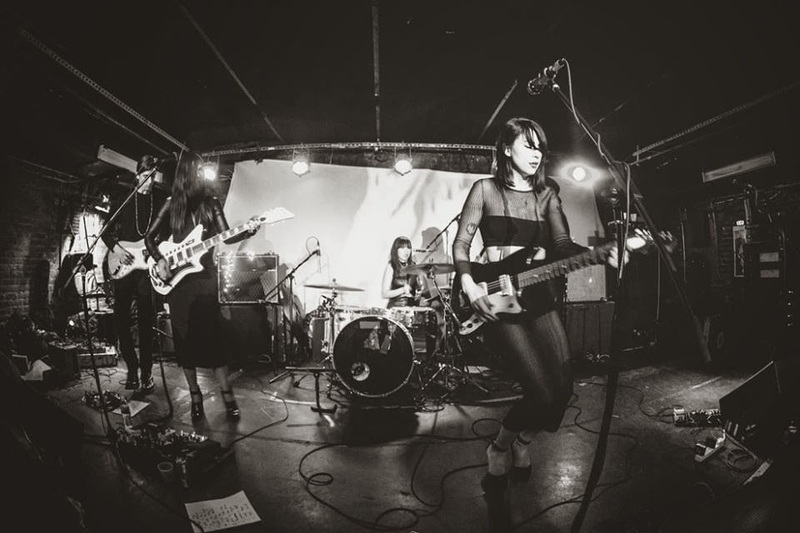 When The Dum Dum Girls perform their sold out show at The Empty Bottle tomorrow night, they’ll have plenty of good songs to choose from their last two releases, Too True and Only In Dreams. Both have been favorably reviewed here at BHT. Those recordings were primarily the work of vocalist-guitarist Dee Dee Penny, who creates an irresistible blend of 1960s style twang with atmospheric, hard-edged new wave. For live appearances, she’s backed by a full band. Wine And Cheese with The Dave Clark Five. A few Sundays ago, WXRT air personality Terri Hemmert mentioned on her Breakfast With The Beatles program that a Dave Clark Five documentary was coming up on on PBS. The two-hour Glad All Over - The Dave Clark Five And Beyond, A Celebration of the 50th Anniversary of The British Invasion of America will include clips of the band’s performances on the Ed Sullivan Show, live footage, and interviews with current musicians like Paul McCartney, Bruce Springsteen, Little Steven Van Zandt, Stevie Wonder, Elton John, and Dionne Warwick. It airs on April 8th, 9th, and 10th on PBS Channel 11 in Chicago. Get a Move (t-shirt) on. Bev Bevan, a founding member of the rambunctious and influential English band The Move, recently announced on Facebook that Move t-shirts are now available on eBay UK. I just purchased one, which I’ll be wearing in honor of the band’s vocalist, the late Carl Wayne. I had the honor of meeting Carl prior to a 2002 concert in Minnesota. 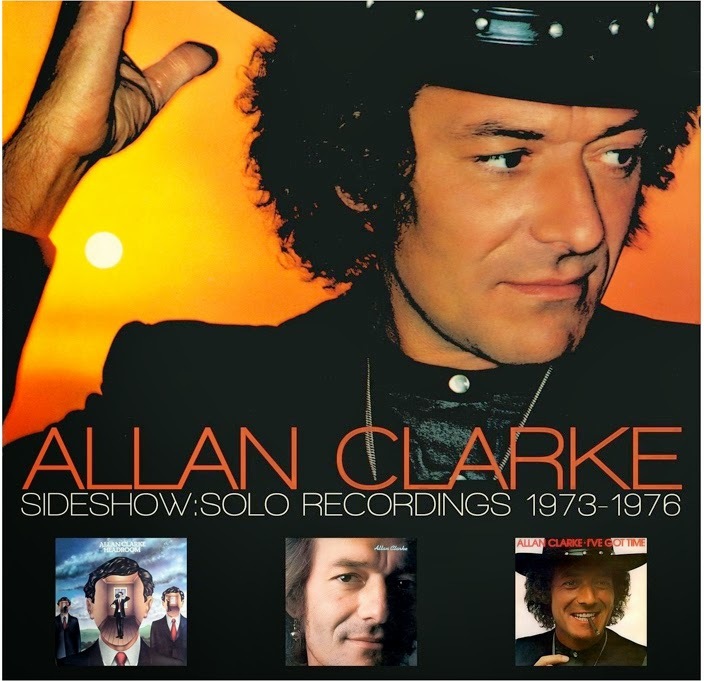 At that time, he had replaced the retiring Allan Clarke as lead vocalist of The Hollies, and he was extremely gracious in speaking with the group’s fans. There are now nine Move t-shirts still available for sale. The Plastiscines plan to release their first full-length CD in a number of years, Back To The Start, on April 14th. Here’s a video of the song “Blue Jeans,” which also appeared on the Paris-based group’s recent EP, Black XS. Local rock critic and 89.1 FM Lakeshore Public Radio personality Tom Lounges will be the emcee for the annual Pet Rock Gala tomorrow, March 29th from 5:00 to 11:00 PM at County Line Orchard’s Big Barn in Hobart, Indiana. The event is a fundraiser for The Humane Society Of Northwest Indiana and will feature live rock from Jim Peterik And Friends, The Fabtones, and Ripley Street. There will also be a silent auction on autographed books, photos, guitars, and other items. Heart is living up to its name these days, in terms of pitching in at charitable events. The Ann and Nancy Wilson-fronted band will be among the 20 artists taking part in The Music Of Paul Simon at Carnegie Hall on this coming Monday, March 31st. The event will help youth-centered music programs in the New York City area. Judy Collins, John Doe from X, Bettye LaVette, Madeleine Peyroux and Jon Herrington, Joy Williams of The Civil Wars, and Allen Toussaint will also be interpreting the works of Mr. Rhymin’ Simon for this worthy cause. On Earth Day, April 22nd, Heart, with special guests Graham Nash and Jami Sieber, and Joan Jett And The Blackhearts will headline Kiss The Sky! The Orca Freedom Concert at the EMP Museum’s Sky Church in Seattle. Other acts involved include guitarist Arielle, Woodstock veteran Country Joe McDonald, and musician/activist Andrew Morse. According to a recent post on the Nerdist website, Ricky Gervais planning on doing a rock documentary based on his Brent character from original UK version of The Office. Note: I plan on posting a third installment in my review of Holly George-Warren’s Alex Chilton bio A Man Called Destruction, but it may take a few days. I still have about 100 pages to read. 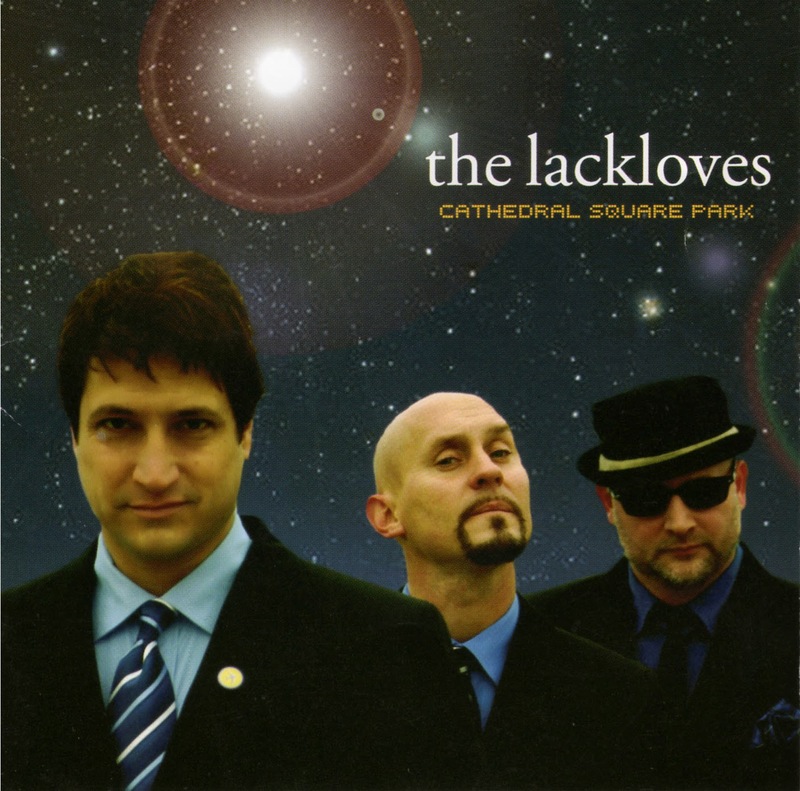 The Lackloves were a power pop band from Milwaukee that changed lineups over the course of three CDs released from 2002 to 2007. Lead vocalist-guitarist Mike Jarvis remained at the helm throughout that time, and also performed as a solo artist. I caught The Lackloves a few times at International Pop Overthrow - Chicago, and they became one of the acts I would look forward to seeing each year. It would be a shame if they’re no longer around, but I haven’t been able to find any activity on their part beyond 2010. If anyone out that has any information, I’d be glad to pass it along. In the meantime, here’s a review of their 2007 effort. The Lackloves were down to a trio when Cathedral Square Park came out, and it sounded like Jarvis, bassist-vocalist Kevin Ponec, and drummer-vocalist Tommy Dougherty sang the entire 10 tracks in perfect harmony. Their singing, along with the band’s strong melodies, evoked The Byrds on songs like “Bended Knees.” Elsewhere, Dougherty’s galloping drumbeat on “Marlena” was reminiscent of Buddy Holly. 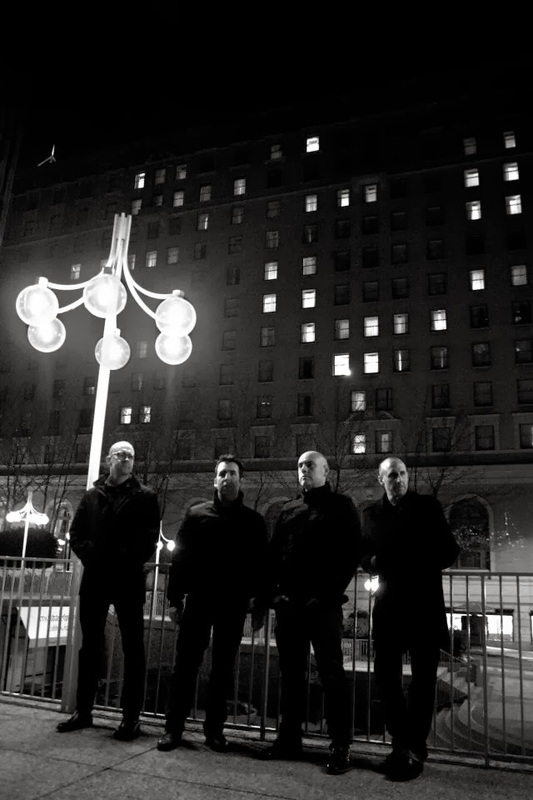 Though most of Cathedral Square Park was concerned with romantic relationships, there was often an often a mysterious aspect to the band’s lyrics. “Summer Rain,” a mid-tempo song with a chiming, 1960s style arrangement, had lines like, “You could be lost/I’m crawling into a drain,” while the high-speed “Another Kind Of Girl” added a touch of danger to cruising the bar scene. “The markings of this hunter can be hard to read/Buried under lipstick and high-heeled cheeks.” The Lackloves were just out for fun on the satiric “Space Age Romeo,” which featured sci-fi effects, as well as Ponec’s hard-charging bass playing. And now on to the second part of my review of Holly George-Warren’s biography, A Man Called Destruction: The Life And Music of Alex Chilton From Box Tops To Big Star To Backdoor Man, which was released this past Monday. As noted in the book’s press release, George-Warren interviewed over 100 musicians, friends, and family members while preparing to write this biography. She also uses several quotes from Chilton himself that appeared in interviews with other writers during the later part of his career. (Chilton suffered a fatal heart attack in 2010.) The result is an honest and intimate look at this troubled but immensely gifted rock star. After the demise of The Box Tops, Chilton briefly performed on New York’s folk club scene, preferring to come across as an anonymous folkie rather than try to cash in on the success of his previous band. While in New York, he would reconnect with Chris Bell, a singer-guitarist he knew back in his earlier days in Memphis. Like Lennon and McCartney or Crosby, Stills and Nash, Chilton and Bell discovered a certain magic was created when their vocals blended together. Heading back to the Memphis area, they would soon put together a band that included bassist Andy Hummel and drummer Jody Stephens. Dubbed Big Star—a boastful name Stephens feared would come back to haunt them—they began work on an LP’s worth of music that had more in common with The Beatles and other 1960s artists than the current 1970s trends of heavy metal or disco. As documented by George-Warren, people like Executive Producer John Fry, studio technicians, and other musicians who assisted with the recordings viewed songs like “The Ballad Of el Goodo,” “Thirteen,” and “In The Street” as being exceptionally good. Unfortunately, the sessions were also marked by increased tensions among the Big Star members, particularly Bell and Hummel. They not only got into fist fights and shoving matches, they also vandalized each other’s instruments. Bell’s deep-rooted insecurity also caused jealousy toward Chilton and even other groups who happened to be recording at the same studio. Still, a strong belief in the music they were creating kept the band members together. Once Big Star’s debut, #1 Record, was released, the hubris payback Stephens had worried about seemed to take a stranglehold on the album’s success. 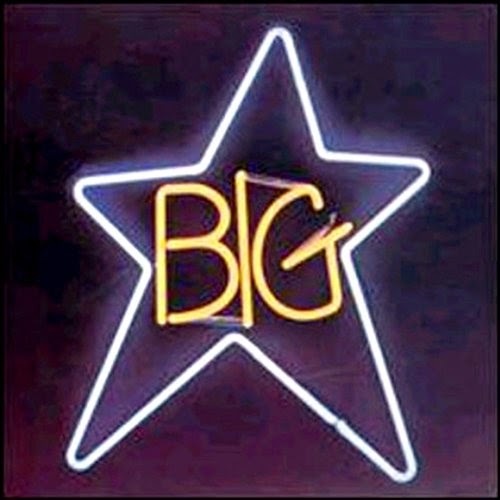 Distribution problems made it difficult for Big Star’s already growing fan base to purchase copies, and radio programmers were reluctant to add songs from #1 Record when it didn’t seem to be selling. Meanwhile, rave reviews in the alternative and mainstream press continued to roll in. The frustration for Chilton, Bell, Hummel, and Stephens must have been unbearable. #1 Record went on to become a legendary album that critics hailed, musicians admired, and almost nobody was able to buy. Brokenhearted by the lack of commercial success for #1 Record, and convinced that Alex Chilton was receiving too much credit from the critics, Bell decided to leave the band to pursue a solo career. The remaining three members considered calling it quits, but soldiered on and were able to produce a second effort that should have been a rousing success. Amazingly, Radio City, which included the classic “September Gurls,” would suffer the same distribution entanglements as its predecessor, and not make much of a dent in the charts. Big Star would eventually release another effort, Third/Sister Lovers, that would find Chilton taking control with an avant garde approach while battling his inner demons. First a quick recap of some shows that were mentioned in last week’s Slumgullion that are taking place this weekend: Magatha Trysty will be part of a showcase tonight at Metro that also includes Hero Monster Zero, The Lost Brigade, Jeff Brown And The New Black, and Kathy Grenholdt. * “Heroes” The Music Of David Bowie takes place at Parlour at 6341 N. Clark Street tomorrow night. Admission is $7. * Led Zeppelin 2 will be performing Zep’s landmark double LP Physical Graffiti in its entirety at House Of Blues tomorrow night. Whitewolfsonicprincess, led by vocalist Carla Hayden and vocalist-guitarist James Moeller, will be part of a triple bill that also features The Telepaths and Audiobon at Phyllis’ Musical Inn tomorrow night. The music starts at 9:30 PM. Singer-guitarist John San Juan of The Hushdrops and a number of local musicians will perform John’s People Presents George Harrison: All Things Must Pass on March 30th at The Old Town School Of Folk Music on Chicago’s north side. The tribute to Harrison’s landmark 3-LP set was previously done at FitzGerald’s in Berwyn. Best wishes to Metro owner Joe Shanahan in his battle against tongue cancer. Shanahan’s recent announcement to his staff, as well as an article in the Chicago Tribune, has resulted in a flood of supportive messages on Facebook. For more than three decades, Shanahan and Metro have offered performances by some of the biggest names in cutting-edge rock. The Bangles will be performing at the 31st annual SunFest in West Palm Beach Florida on May 3rd. Blues Traveller, Goo Goo Dolls, and Dropkick Murphys are also on the bill. The weather will probably be nice considering this in Florida. Here in Chicago, we’ll probably have a chance of flurries. But we still want The Bangles to perform here. Red Rocker for relief. Veteran hard rock vocalist-guitarist Sammy Hagar and Metallica vocalist-guitarist James Hetfield have joined forces to present the first annual Acoustic 4-A-Cure benefit in San Francisco on May 15. The duo has lined up an impressive group of musicians to help out, including Nancy Wilson from Heart, Billie Joe Armstrong from Green Day, guitar instrumental wizard Joe Satriani, Pat Monahan from Train, and others. The concert will be held at The Fillmore and benefit the Pediatric Cancer Program at UCSF Benioff Children's Hospital. There’s a new type of performance on the music scene that might be best described as boutique copy bands. Musicians who are able to dodge the stigma of covering other people’s material either by their eclectic song selection or by reinventing well-known fare. It also helps the band’s cred if its members have already established themselves by creating original music. For example, EXPO ‘76, which is comprised of veteran Chicago players, draws from a variety of decades and genres. The French band Nouvelle Vague sets classic punk songs to enticing lounge arrangements on its CDs. I’ve never seen Belleisle, but judging from their press release, they probably meet the boutique criteria. 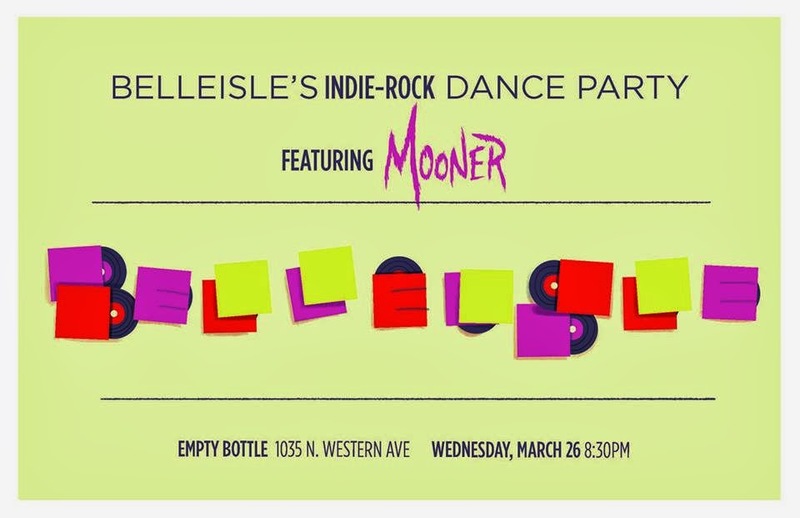 Starting next Wednesday, March 26th, the Chicago-based band will initiate its Live-Band Indie Rock Dance Party series at The Empty Bottle. The 12-piece ensemble will utilize several vocalists, a horn section, keyboards, and percussion to recreate songs by counter-culture artists like Belle And Sebastian, HAIM, Sufjan Stevens, and Feist. The opening act next Wednesday will be Mooner, whose freewheeling 2013 EP Unpronounceable Name was favorably reviewed here on BHT. The guitar-driven, obvious first single “Shapeshifter” and the satiric power pop tune “Overrated” were two of the release’s highlights. Admission is $6, and the music starts at 8:30 PM. 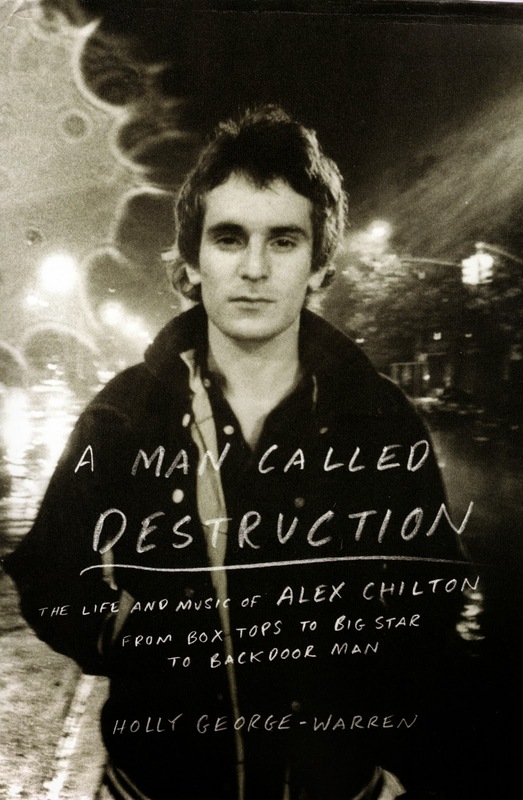 By coincidence, I received an advance copy of Holly George Warren’s Alex Chilton bio A Man Called Destruction (official release date: March 24th) around the same time I took out the DVD Big Star: Nothing Can Hurt Me from our local library. I’ve been reading the book on the train ride to and from work—looking to post a full review in the near future—and watching the documentary at night. The two complement each other nicely, and it’s tempting to suggest that anyone unfamiliar with Big Star also listen to the Nothing Can Hurt Me soundtrack or Playlist: The Very Best Of Big Star before watching the documentary. Magnolia Pictures and September Gurls Productions, in association with Ardent Studios and Omnivore Entertainment Group, has created a heartfelt tribute that should resonate with fans of this 1970s pre-power pop group, but it might leave newcomers scratching their heads. There’s not much live performance footage in the documentary, so most of the songs are presented in audio snippets. Even the 1990s reincarnation, when Jon Auer and Ken Stringfellow from The Posies joined forces with original members Alex Chilton and Jody Stephens, is barely shown. 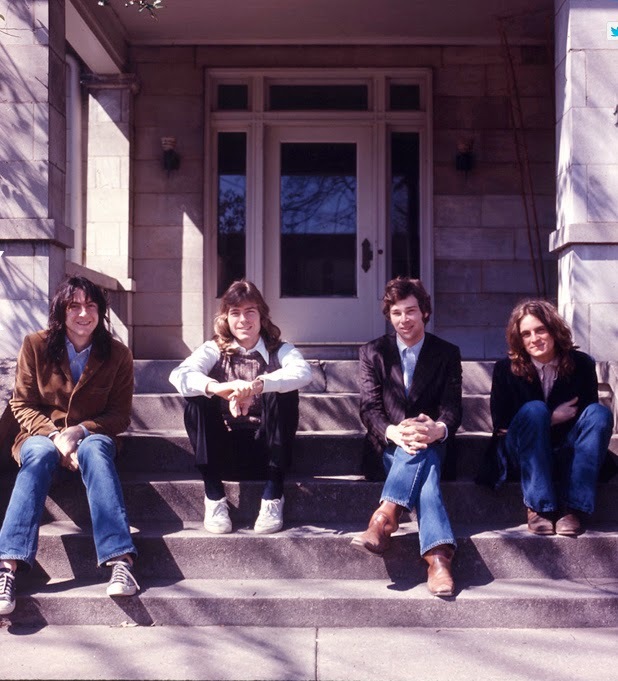 It could be the producers were more intent on creating an emotionally charged, behind-the-scenes look at how the members of Big Star created their now legendary debut #1 Record at Ardent Studios in Memphis. In that respect, Nothing Can Hurt Me is a complete success. Critics, musicians and technicians involved in the LP’s production, including the very hands-on studio owner John Fry (who’s also an Executive Producer of the film), provide information and insight about band members Alex Chilton, Chris Bell, Andy Hummel, and Jody Stephens. Chilton and Bell are remembered as having been the highly talented but volatile twin engines driving Big Star, which inevitably caused friction between the two of them. Both had died by the time Nothing Can Hurt Me was being made, so the more recent commentary from band members comes from drummer Stephens and bassist Hummel. Sadly, Hummel passed away from cancer before the documentary was finished. Overcome with jealousy when Chilton was cited by many critics as being the genius behind #1 Record and gravely disappointed by the album’s less than stellar sales, Bell chose to strike out on his own. Nothing Can Hurt Me simultaneously follows his attempts at a solo career while showing how Chilton took almost complete control of Big Star. Bell was killed in an auto accident when he was 27 years old. Chilton would have his own mental health issues, but eventually recovered and enjoyed a revived career up until suffering a fatal heart attack right around the time he was preparing to perform at South By Southwest in 2010. Throughout Nothing Can Hurt Me, a number of current musicians, such as Cheap Trick, The Flaming Lips, Robin Hitchcock, Mike Mills from R.E.M., and Paul Westerberg from The Replacements talk about how much they were influenced by Big Star. While the title of this documentary may seem ironic given the emotional turmoil and frustrations experienced by the members of Big Star, maybe what it truly refers to is the band’s legacy. Would you let this man write a bedtime story for your kid? Photo from the Keith Richards Facebook page. First a quick recap of some shows that were mentioned in last week’s Slumgullion that are taking place this weekend: The Viaducts will be at Junior’s in the Pilsen neighborhood. There will be a St. Patrick’s Day Party Fundraiser Benefit for Keralee Froebel at Ancien Cycles on Milwaukee Avenue. Ms. Froebel will also be on the bill, performing with Daniel Connelly. Other acts include Carla Hayden and James Moeller; Royal Sons Of A Gun; Cynthia Marchant, Gregg Mandell, and Tom Burdick; Bill Hyland; and Ketherine Chronis. Kevin Lee And The Kings will be bringing their hard-edged power pop to JD Muggs in Addison, along with Psycho Sister and Pete Berwick and the Renegades. The Abbey Pub has a double dose of Irish celebrating coming up in the next few days. The 40th Annual St. Patrick’s Day Party will run from 1:00 PM to 1:00 AM on Saturday, with music by fonn more; Fitz And The Celts; and The Great Whiskey Project. The northwest side club resumes the fun at 12 noon on Monday, with its 40th Annual St. Patrick’s Day Fest. The Irish music on that day will be provided by Mulligan Stew; Tony, Aaron, and Rebecca from The Tossers; and Kevin Flynn And The Avondale Ramblers. Techno songs about rainbows. On St. Patrick’s Day. DJ Samorama will be serving up “Muppety songs and videos” at Club Foot, 182 W. Augusta this coming Monday night. The Factory Theatre is holding Hey! Dancin! Hey Musical! The Launch Party at Chief O’Neill’s Pub And Restaurant next Thursday, March 20th. The play was originally staged at Factory in 2010, with original music intended to remind audiences of Heart, The Pointer Sisters, and Glenn Frey. The Launch Party will offer an opportunity to meet the cast members, and there will be a raffle and contest. As mentioned earlier here on BHT, Mike Cohen and Jeff Janulis from the Chicago power pop band The Abbeys will unveil their new side project WhatEverly Bros with a Phil Everly Tribute show at SPACE in Evanston next Thursday March 20th. Singer-songwriter Dave Ramont will be their opening act A portion of the proceeds will be donated to the Phil Everly Memorial Fund. One week from tonight, on Friday, March 21st, Magatha Trysty will be part of a showcase at Metro that also includes Hero Monster Zero, The Lost Brigade, Jeff Brown And The New Black, and Kathy Grenholdt. Magatha Trysty guitarist-vocalist Chris Bevard was a guest on WLUW’s Razor And Die show earlier today. The band also has an important gig coming up at The Red Line Tap on April 19th, when it returns to International Pop Overthrow - Chicago. You can see a David Bowie tribute just for one day. “Heroes” The Music Of David Bowie takes place at Parlour on Clark Street next Saturday, March 22nd. Local artists covering The Thin White Duke include John Mead, Jane Hanna, John San Juan, Alton Smith, Lindsay Cochran, and Peter Manis. Admission is $7, Parlour is located at 6341 North Clark Street. Or you could be struck by the hammer of the gods next Saturday. Led Zeppelin 2 will be performing Zep’s landmark double LP Physical Graffiti in its entirety at House Of Blues. Led Zeppelin 2 is fronted by Bruce Lamont, who has logged time with the underground metal bands Yakuza, Bloodiest and Corrections House. 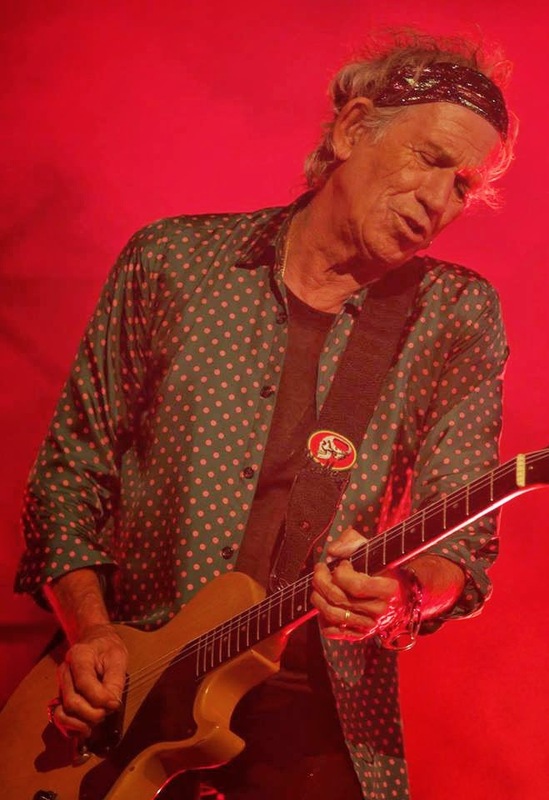 The Chicago Tribune and Chicago Sun-Times recently reported that Keith Richards has written a children’s book titled Gus And Me: The Story Of My GrandDad And My First Guitar. At my bi-monthly writers meetings, we frequently critique children’s books, and over the years, I’ve met a variety of aspiring authors and illustrators. None of them were at all like Keith. It would have been fun to see him mumbling a short description of his story as he passed out Xerox copies, and then hear him read it out loud in that gravelly, often-imitated voice. I don’t know if Keith has any more children’s books up his sleeve, but if he does, here’s an open invitation to run it by my group. Congratulations to Katie Sparks from my writer’s group on getting her Middle Grade novel Reality Natalie published. It’s due out at the end of this year. 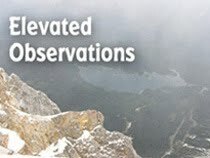 Sparks is now part of a growing number of people from my writers group who have had their work published, including Kym Brunner, Cherie Colyer, Susan Kaye Quinn, Mike Kelley, Marian Cheatham, and Terri Murphy. Colyer is having an online launch of her third Young Adult novel, Challenging Destiny, from March 27th to April 4th. I’ve been reading an advanced copy of Holly George Warren’s new biography of Alex Chilton, A Man Called Destruction, with the intention of posting a review here on BHT in the near future. Warren’s account of Chilton’s teenage years would make a great Young Adult novel or movie. He loved sharing his obsession with blues and jazz with friends, smoked and drank, and actively cultivated an outsider status. I’m sure things will get even more interesting when Warren starts to cover his music career. Zombies front man Colin Blunstone will be performing at City Winery along with Edward Rogers on May 15th. Anyone who has seen the John Anderson documentary Born In Chicago knows that Harvey Mandel’s obsession with blues music began in the 1960s when he would travel to the city’s south side clubs to hear and eventually be tutored by masters of the genre. Mandel became a highly successful guitarist, and over the years, performed with Charlie Musselwhite, Canned Heat, and John Mayall. His tenure with Canned Heat took him to Woodstock, and he played guitar for The Rolling Stones on their Black And Blue LP. He also recorded several of his own albums. I had the honor of meeting Mandel a few years back when I was covering a preview of Born In Chicago for the Illinois Entertainer. He graciously offered to provide any information I might need for the article. Today is Harvey Mandel’s birthday, and there will be a special celebration from 7:00 PM to 10:00 PM at Suite LiveLab Studios in Chicago. The event doubles as a benefit and will feature a Live SuperJam, raffle, and an auction that includes autographed guitars from Keith Richards, The Allman Brothers, Carlos Santana, as well as other celebrity-donated items. It’s a safe bet that Mandel’s birthday bash will draw an impressive mix of musicians and media professionals. The official Facebook announcement promises opportunities for industry networking. Tickets are $20 if purchased online, and $25 at the door. Harvey Mandell has successfully battled a rare form of cancer in recent years, and his website is seeking donations to help cover his extensive medical bills. Fans can make contributions via the site, or join the party at Suite LiveLab Studios at the corner of Wells and Huron tonight. First, a quick reminder that several Chicago area bluegrass musicians will gather at Martyrs’ next Wednesday night to honor critically acclaimed guitarist Tony Rice and help raise funds to cover his medical bills. Most of the participants are members of popular bluegrass bands.Tickets are $10, and the music starts at 8:00 PM. Martyrs is located at 3855 N. Lincoln Avenue in Chicago. Whitewolfsonicprincess, led by vocalist Carla Hayden and vocalist-guitarist James Moeller, will be part of a triple bill that also features The Telepaths and Audiobon at Phyllis’ Musical Inn on Saturday, March 22nd. The music starts at 9:30 PM. One week before that three-band show at Phyllis’ Musical Inn, Carla Hayden and James Moeller will be part of the entertainment at the St. Patrick’s Day Party Fundraiser Benefit for Keralee Froebel at Ancien Cycles on Milwaukee Avenue. Ms. Froebel will also be on the bill, performing with Daniel Connelly. Other acts include Royal Sons Of A Gun; Cynthia Marchant, Gregg Mandell, and Tom Burdick; Bill Hyland; and Ketherine Chronis. The event runs from 8:00 PM to midnight, with a suggested donation of $15. Also on that same night, power pop/rock band The Viaducts will be doing a gig at Junior’s in the Pilsen neighborhood. Show time is 10:00 PM. Kevin Lee And The Kings will be bringing their hard-edged power pop to JD Muggs in Addison, Illinois next Saturday night. The band goes on at 9:00 PM. Singer-guitarist Phil Angotti and Friends will perform the entire Paul McCartney album Ram, along with a smattering of McCartney solo stuff at Wire in Berwyn on Thursday, March 20th. Angotti’s pals include area musicians Casey McDonough, Carolyn Engelmann, Tommi Zender, and John San Juan. Those of us who missed John San Juan’s tribute to George Harrison’s All Things Must Pass triple LP at FitzGerald’s a while back will have a chance to catch it at the Old Town School Of Folk Music on Sunday, March 30th. Eleven musicians, including Cathy Norden, Eric Colin Reidelberger, Dag Juhlin, and Katie Bowes will be performing under the moniker John’s People. The show is at 7:00 PM. General admission is $12. Ghoulhouse Records has a fun showcase of garage rock and power pop coming up on Friday April 11, 2014 at The Redwood Bar in Los Angeles. 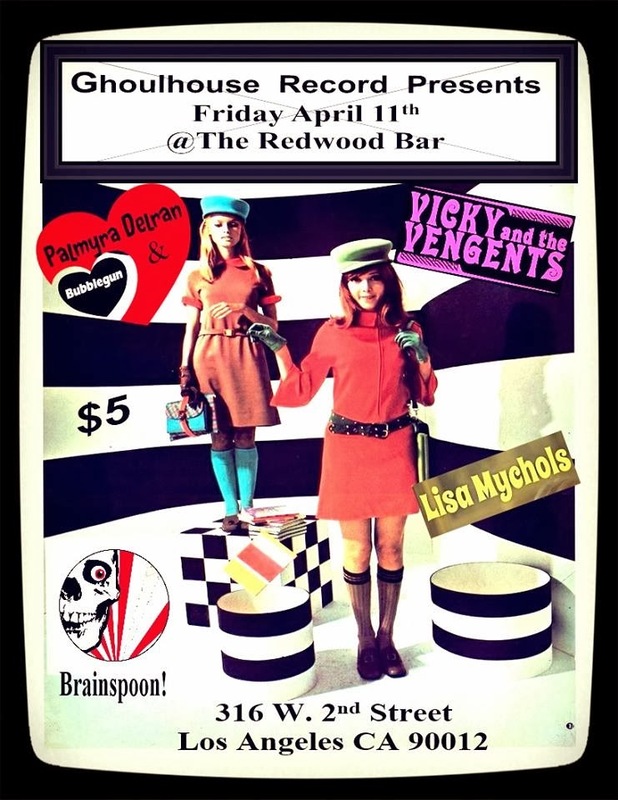 Palmyra Delran & BubbleGun; Vicky & The Vengents; The Lisa Mychols 3; and Brainspoon! will be rocking the house. The Signal Theatre will holds its second annual Signal Soiree - The Red, Black & White Ball on March 22nd at the Omni Hotel on Michigan Avenue. Tickets are $75 in advance, $100 at the door. The fundraiser offers an opportunity to mingle with Signal Ensemble members while enjoying cocktails and food. Chicago’s prog rockers The Luck Of Eden Hall have a little over 11 days left to pick up $4,000 worth of pledges on Kickstarter to bankroll their trip to Hamden, CT for the Crabstock Festival on April 11th. The event is being cosponsored by radio station WPKN and the UK indie label Fruits de Mer. The Luck Of Eden Hall is offering some interesting incentives to attract donors. As mentioned previously on BHT, The Smithereens, The Romantics, Marshall Crenshaw, and Tommy Tutone will be joining forces for a power pop extravaganza at The Arcada in St. Charles on October 10th. Tickets will be on sale soon. When I mentioned this concert on Facebook the other day, it sparked a flurry (well, a few) of my friends to start making plans for staying overnight in a St. Charles hotel afterward. The last episode of this season’s Sunday Morning With Jeff Internet show will be posted by host/producer Jeff Kelley tomorrow. Unfortunately, it won’t be a special expanded edition like last year’s finale, which was easily Kelley’s most impressive and funniest effort. I had the honor of doing a few cameo appearances for that episode, and have been hankering to get more involved with CWJ. Once the dust settles on this season, I’m hoping to, as they say in the industry, take a meeting with Kelley and pitch an idea for a new series. It would be a sci-fi satire featuring him, long-time CWJ contributor Willy Deal, and myself, and possibly at least one member of my fabulously talented writers group. Stay tuned for more updates on that, and be sure to catch the Coffee With Jeff season finale tomorrow. Photo from the WhatEverly Bros Facebook page. Several Chicago area bluegrass musicians will gather at Martyrs’ next Wednesday night to honor critically acclaimed guitarist Tony Rice and help raise funds to cover his medical bills. Rice, who was inducted into the International Bluegrass Hall Of Fame last year, has lost his ability to play guitar due to arthritis. A Concert To Benefit Tony Rice will feature performances by Nate Baker, Ben Benedict, Mike Church, Aaron Dorfman, Tom Gerlach, Steve Haberichter, Eric Lambert, Andy Miller, Starr Moss, Pat Otto, and Chris Walz. Most of the participants are members of popular bluegrass bands. Tickets are $10, the music starts at 8:00 PM. Martyrs is located at 3855 N. Lincoln Avenue in Chicago. 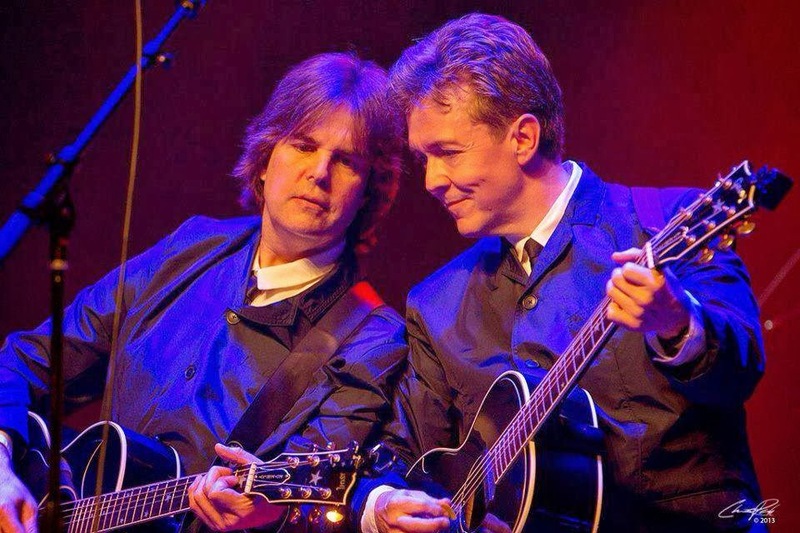 Later this month, Mike Cohen and Jeff Janulis from the Chicago power pop band The Abbeys will unveil their new side project WhatEverly Bros with a Phil Everly Tribute show at SPACE in Evanston on March 20th. Their previous Everly Brothers-centric band, The Everly Hillbillies, performed with Edan Everly (Don Everly’s son) at the Arcada Theatre in St. Charles last summer and at an Everly Brothers Family Website Fan reunion in Nashville last fall. Singer-songwriter Dave Ramont will be their opening act at SPACE. A portion of the proceeds will be donated to the Phil Everly Memorial Fund. Australian singer-multi-instrumentalist Joe Algeri has played in his share of bands over the years, most recently with the international power pop trio The Britannicas. 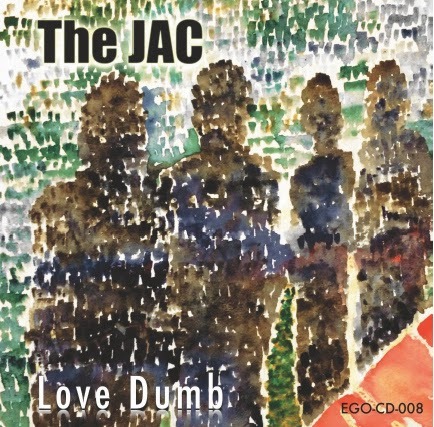 He occasionally has put out solo efforts under the name The JAC, but on the new five-song EP Love Dumb, Algeri is backed by guitarist-vocalist Dave Wallace, bassist-vocalist Jason Clearly, and drummer-vocalist Mark “Sid” Eaton. Algeri continues to bring his offbeat perspective to catchy arrangements, but The JAC also experiment with a few different styles. 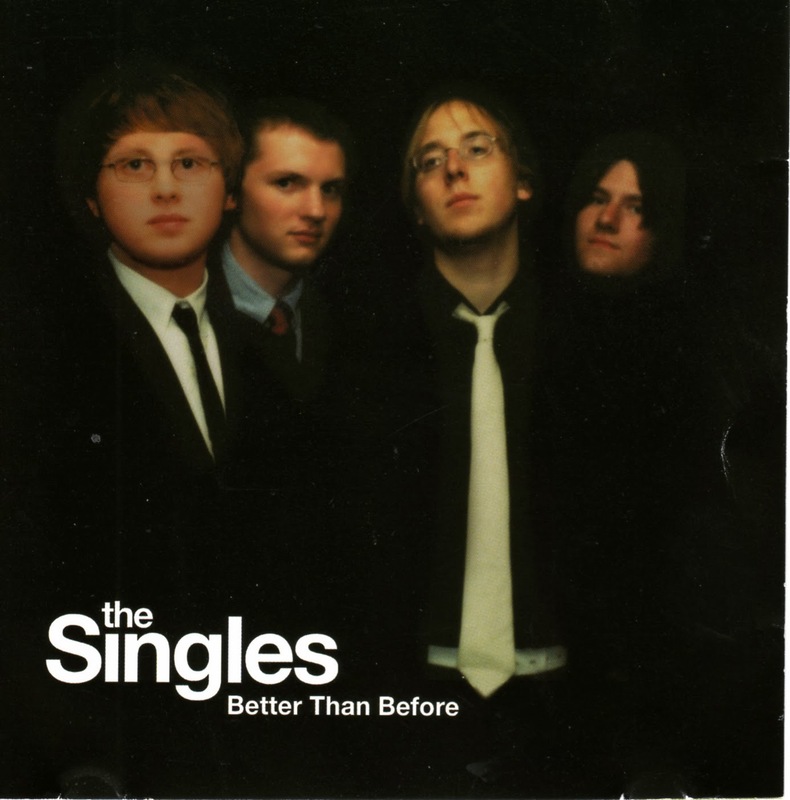 The power pop oriented title track depicts a guy wondering why he’s still in a relationship when both he and his significant other are disillusioned with it. “Frantic Romantic” is a fun song originally done by the Aussie band The Scientists back in 1979, and The JAC use a similar synthesizers and a drum machine arrangement behind goofy lines like, “I like to have nice girls,” and “I touched her lips/I kissed her hips.” Algeri goes acoustic with a cover of Big Star’s “Thirteen,” and “Truly Julie And Terry,” his reflection on the young lovers from The Kinks’ “Waterloo Sunset.” The ringing guitars and harmony vocals on “Wherever You Go” show an unmistakable Byrds influence. After receiving word that singer-guitarist Vince Frederick has launched a new version of The Singles, I was inspired to revisit my copy of the band’s 2002 effort Better Than Before. Back then, Frederick was ably backed by guitarist-backup vocalist Will Yates, bassist-backup vocalist Dave Lawson, and drummer Dave Knepp. He wrote all of the the CD’s 14 songs, tapping into the original British Invasion, The Beach Boys, and garage rock. It will be interesting to hear Frederick’s latest incarnation of The Singles, which is comprised of him and drummer-backup vocalist Nicky Veltman. Their new CD, Look How Fast A Heart Can Break, is due out in April. The new Illinois Entertainer features Tom Lanham’s cover story on The Dum Dum Girls. His interview with Dee Dee Penny (AKA Kristin Welchez), the band’s not-so-dumb singer-guitarist covers her recent trouble with vocal-cord nodes and how she channels real life tragedies into her music. The Dum Dum Girls have sold out their March 31st gig at The Empty Bottle in Chicago. Lanham also has a piece on new wave singer Gary Numan, who performs at Metro on March 29th. Rick Kaempfer’s Media column offers a profile of WXRT’s morning news anchor Mary Dixon, who talks about her longtime friendly bond with morning DJ Lin Brehmer. The March issue also includes my review of Too True, the new CD from The Dum Dum Girls, as well as my take on the Radio Ready: Wisconsin - Lost Power Pop Hits 1979-1982 various artists compilation. A full-page ad for The Arcada in St. Charles heralds a number of upcoming concerts of interest to fans of vintage rock and roll or power pop. Some of these dates have been previously mentioned here on BHT, but they’re worth noting again: The Orchestra, featuring members of ELO, on March 16th; California Dreaming, a tribute featuring songs by The Beach Boys, The Mamas And The Papas, The Byrds, Crosby, Stills And Nash, and others, on April 1st; Paul Revere And The Raiders on April 13th; Mickey Dolenz and The Cowsills on May 3rd; Alan Parsons on May 11th; Herman’s Hermits starring Peter Noone, with guests Jay And The Americans, on May 30th; The Yardbirds and Vanilla Fudge on June 27th; and Johhny Rivers on September 12th. But October 10th is the date that really stands out on the Arcada ad. 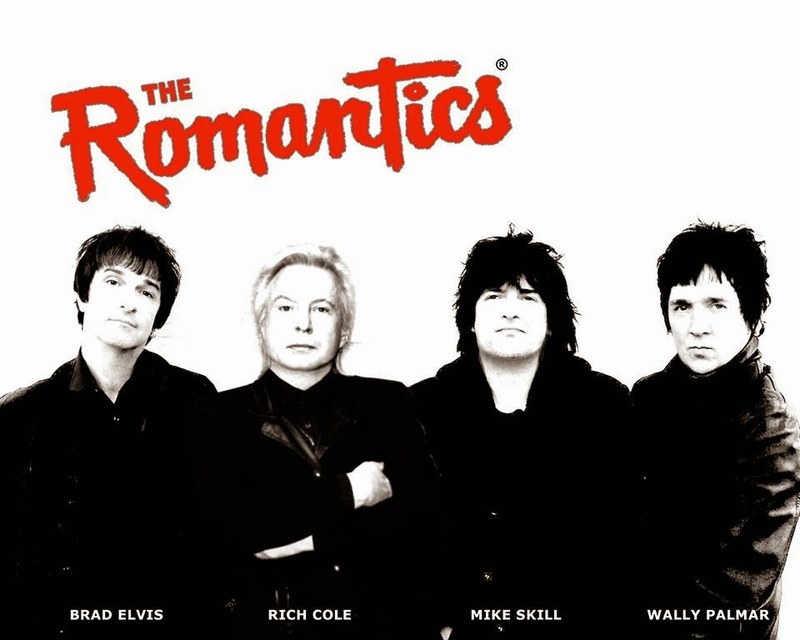 That’s when The Romantics (featuring Chicago’s own Brad Elvis on drums), The Smithereens, Tommy Tutone, and Marshall Crenshaw will all be on the same bill. This is great news for Chicagoans who have been insanely jealous of L.A. for its recent Wild Honey Revolver And Abbey Road all-star benefit, and New York, for its upcoming Brooklyn Power Pop Fest. It might even be a good idea to book a hotel and just stay in St. Charles overnight. The Arcada is located at 105 E. Main Street in St. Charles. Photo from Jupe Jupe Facebook page. 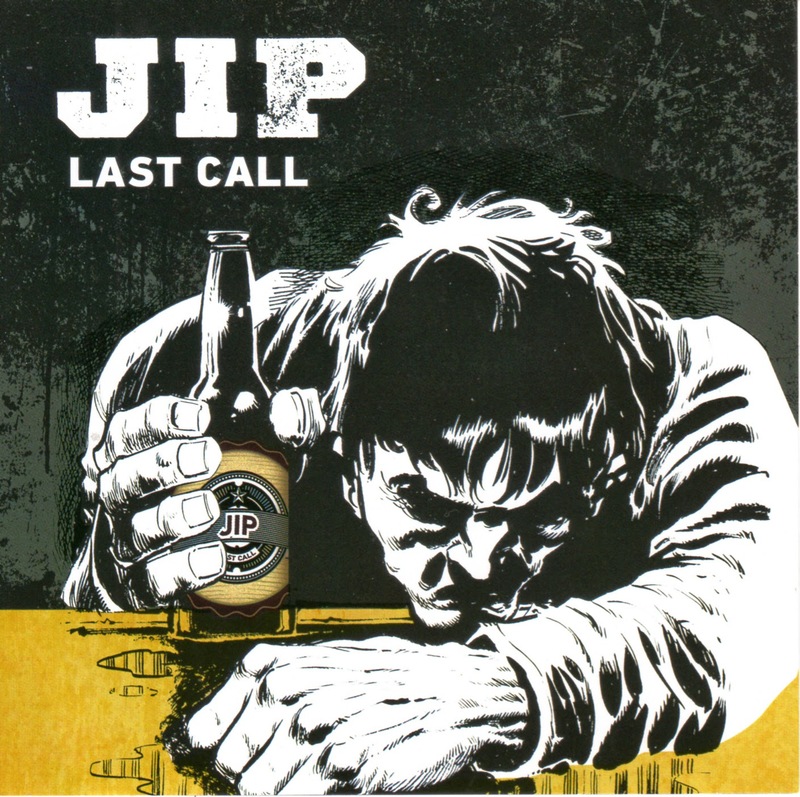 Countless bands these days look back to the 1980s for inspiration, but Jupe Jupe distinguishes itself by focusing on the darker and more brooding side of New Wave. Think of Ultravox or Talk Talk, and you’ll have a pretty good idea of what this Seattle-based quartet is up to on its third full-length release, Crooked Kisses. Most of these tracks stretch beyond the five-minute mark, which gives listeners plenty of time to delve into the atmospheric arrangements and ominous lyrics about everything from small-minded townspeople to cosmic disaster.